Katie, Will You Marry Me? UPDATED! 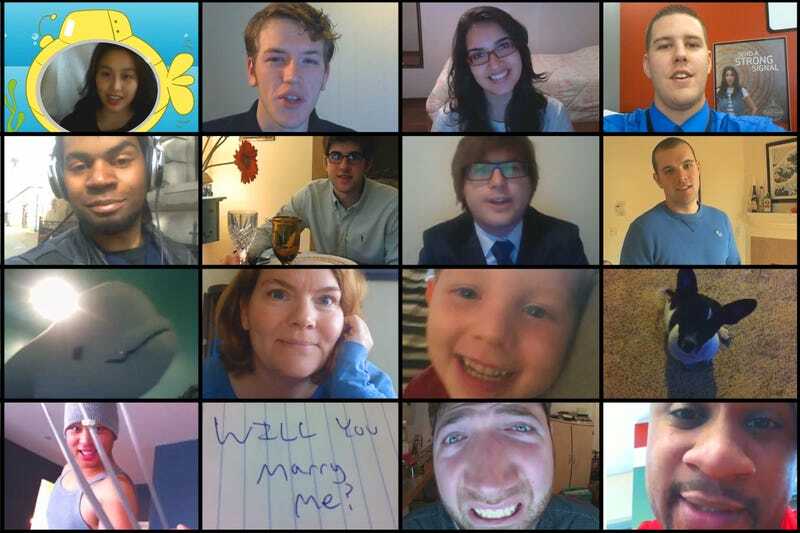 Gizmodo Pops the Question: We Need Your Help! Marching bands! Magicians! Superheroes! One total creep! Girls in fish tanks! Guitar players! Shirtless dudes! You guys totally came through—scores of you sent in videos, and we mashed them together into something that we think is pretty special. If you sent something in, your name is in the credits (except for you, creepy guy). UPDATE: Just heard from Sean. She said yes. And cried. Aww.